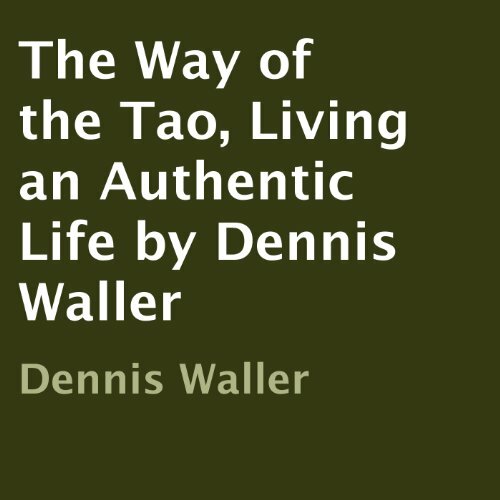 The Tao is an ancient philosophy of living in the natural world and The Way of the Tao, Living an Authentic Life is a treatise and interpretation of Lao Tzu's Tao Te Ching. It shows you how to get back to being your authentic self, your spiritual self. The Tao has the power to help you reclaim your life from the ego-based identity that imprisons you. You can discover your authentic identity by learning to live in divine consciousness. In discovering these truths, we become the creators of the universe instead of the passive observers we have been - we learn how to live life in the now. By learning to detach from our ego we are able to come into direct contact with our true intent and motives. When we do, we begin to see ourselves as we truly are and we are able to reconnect with the divine source. What is the way of the Tao? It is the way things are in the natural progression of life and death, the way of intelligent design as shown in nature. It is a way without dogmas, formalities or religion. To live in the Tao is to live in peace and harmony, giving you the knowledge of being one with the higher realm of divine consciousness. It is to have the awareness of being in this world: You are one and 10,000 things at the same moment. You are the song that the bird sings, the breeze blowing through the trees, the fish swimming in a brook, the warmth of the sun shining from above, the coolness of the earth below your feet, for you are life and death, all at once and not at all. There is no separation in the divine oneness. The Tao offers the power to liberate you from the ego-imposed prison of the dualistic world. Living in the Tao can bring a deep inner peace. The wisdom of the Tao is practical, a way of living with the clarity and knowledge of universal truth. When you are living in the Tao, you will see resistance and opposition fade away. Conflict and stress become distant memories. The issues of life become irrelevant or will simply disappear as you start living with your authentic self. For it is the Tao that teaches you how to transcend the insurmountable obstacles which the ego has created.